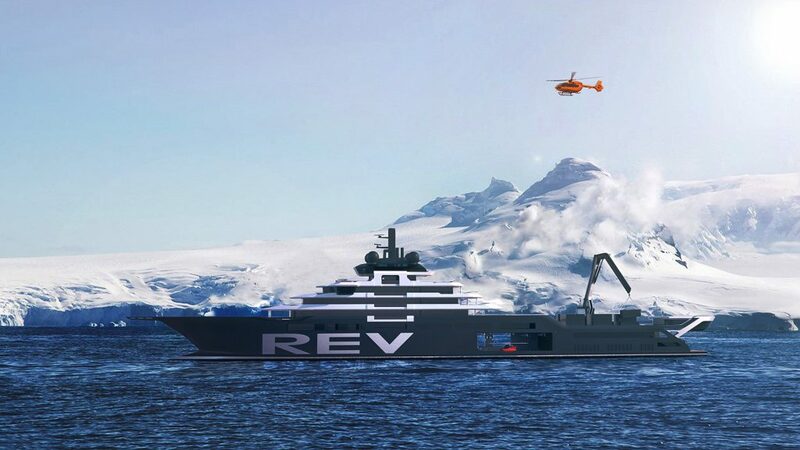 GYG plc announces that it has signed a Letter of Intent (“LOI”) with the owner of ‘REV 182’, the world’s largest research and expedition vessel currently under construction. GYG plc (GYG), the market leading superyacht painting, supply and maintenance company, announces that it has signed a Letter of Intent (“LOI”) with the owner of ‘REV 182’, the world’s largest research and expedition vessel currently under construction. The 182 metre vessel, which is scheduled to be delivered in 2020, will be contracted to the Group’s Rolling Stock division and the order includes the supply and application of the exterior filler and paint system for specified exterior areas of the vessel. This is the third explorer vessel of this type that GYG has been contracted to work on in the last two years, further establishing itself as the specialist in this type of market. The works are scheduled to commence in 2019, further strengthening the order book and providing a good visibility of income for the group. Due to enter the water at Norwegian yard VARD in 2020, REV 182 has been designed by superyacht specialist Espen Øino and will be the largest research and expedition vessel ever built. Her 14 cabins will accommodate up to 28 charter guests, scientists and marine conservation enthusiasts and a core research crew of 30. The vessel has been commissioned with the goal to improve understanding and search for more sustainable and environmentally responsible solutions for the world’s oceans. Independent scientists, marine experts, and innovative thinkers from all over the world will be given access to the ship and the advanced on-board technology in pursuit of this ambition. Part of REV 182’s marine conservation programme will include studying rare and endangered species of fish. Her highly advanced trawl and sampling system is able to selectively catch live species from a maximum depth of 3,000 metres below the surface and give scientists a live visual feed as the fish are caught. A moon pool on board will allow submersibles to be lowered into the water through a 7.7 metre x 5 metre opening in the bottom of the hull. “We are delighted to be working on the build of the world’s largest ever explorer vessel with the REV 182 team. The decision to enter into this agreement with GYG as the fairing and painting contractor for this prestigious project further underpins the Group as the market leader in the emerging explorer sector. GYG has unrivalled experience in this specialist field which, combined with its technical leadership and global after-service capability, provides significant reassurance to owners embarking on major new build projects.